Madden NFL 16 will provide brand new QB mechanics allowing you to “be the playmaker.” All of which are meant to give the player greater depth of control to create their own “WOW” moments. A Playmaker Broadcast has also been introduced to get you as close to the game as possible for all of those spotlight moments. You will be able to play in Connected Franchise and Ultimate Team Mode. Collective Franchise allows you to build up a team from scratch as a General Manager working your team from the bottom to the top. Ultimate Team mode allows you to build your perfect team from current players and take that team online to dominate against other players. Madden NFL 16 is currently available for pre-order and will be released on August 25, this year. 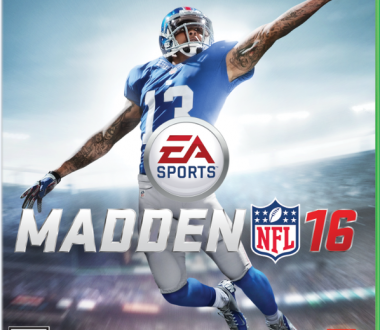 Tags Cover Athlete Madden NFL 16 Odell Beckham Jr. Previous Beginning of the End for Last-Gen Consoles?